2017 has not been a great year in anime for me. There has been a real lack of interesting series for me, however the good ones have been remarkable. 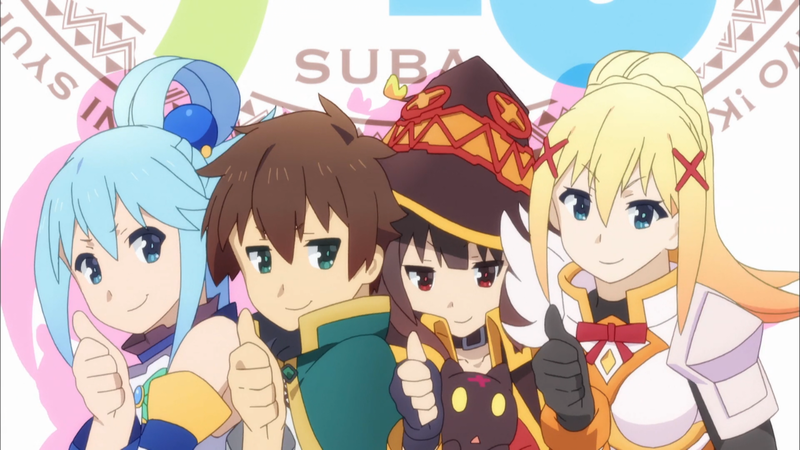 Last year was so much better with series I still think about today like Keijo, High School Fleet, Flying Witch, Flip Flappers, Amanchu, Konosuba and others. But regardless this year is ending so we need to do the lists of the anime shows. Of course if you've watched some of this year's offerings post your own lists and favorites and all of that. Also I did not include Magus Bride as it ends next year and I intend to watch it in lots not week by week. But I would say the four episodes I saw where the best of anime this year. Anyway this is my list ei. Kyoto Ani hit gold once more with the most remarkable series of the year for me. 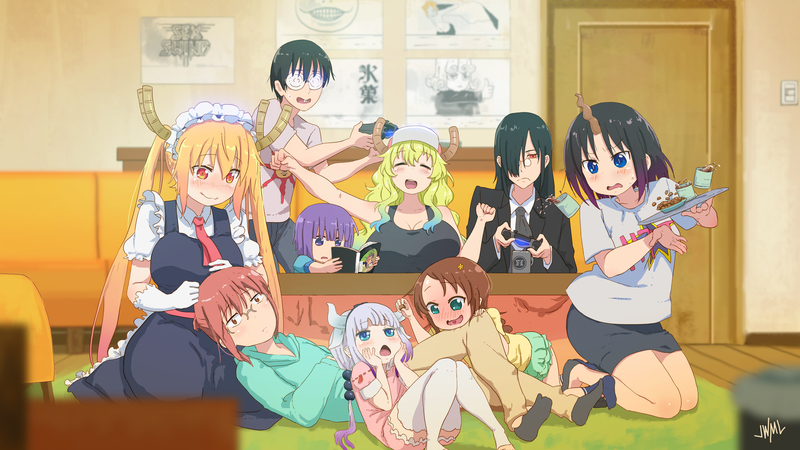 Dragon Maid was cute, hilarious and a ton of fun. It has everything you'd want from a show of it's kind, the charcters are all great and there are plenty amusing antics they get up to, as well as good serious bits. The animation is most excellent with a perfect and remarkably fluid style, Kyoto Ani never mess around with their A shows. fhana's OP was perfect as well, it was just a great show man. When the director of White Album 2 makes another mature romance series you know it's going to be good. Scum's Wish was a great look into the deep intimate feelings of a group of high school students. We see all their angst and lust, it's a messy series with less romance and more of the pains of their age. It has a solid cast who all have their own little problems, and the relationships are great. I was very happy to see another show that like White Album 2 presented love and lust in this fashion. This is not a shiny romance, it's a scummy tale of a bunch of confused and unsure people, and it was great. I'm remarkably biased to Love Live, a series I have a lot invested in. The second generation had a bumpy first season, but now with the past and Muse cast off, Aqours had a chance to shine in their own right. What we get is another imperfect and cheesy season, but it's also has a lot of charm and personality. The characters are a bit one note and over defined, but anytime we have Yohane raging or Dia going buu buu on us it's just fun. Everyone has their moments, and there is a fantastic side story with Saint Snow which gave us the best song in the Sunshine series, "Awaken The Power". It's just more Love Live antics, cheesy but in a good way. Who ever thought a series about a cafe with cutesy girls would ever be this interesting? 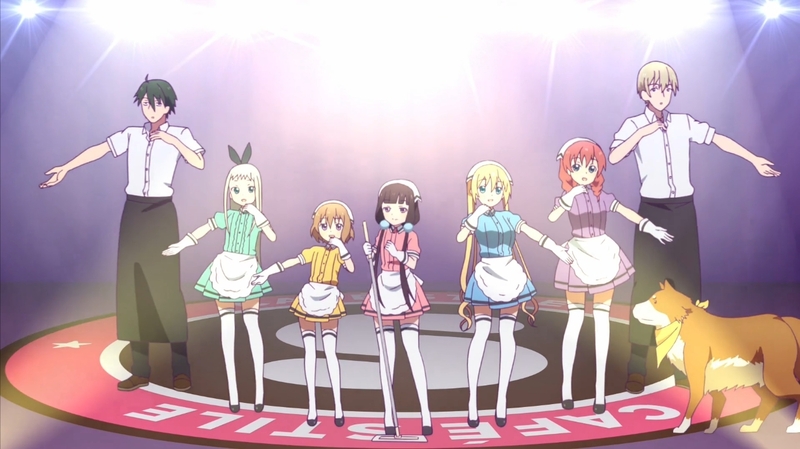 Blend-S is a super fun and hilarious series with a cast of quirky and well detailed characters. It has a lot of great jokes and scenes, with some good dynamics in the cast. Everyone is different enough and the series has the right tone to make things work. The jokes can be hit or miss, but when they hit...they hit. The series has all kinds of...surprises to throw at you as well as a ton of charm. It's just a great series. I would also mention New Game 2, Gabriel DropOut, Sakura Quest, Akiba's Trip and Recovery Of An MMO Addict.